Like most of you, I have seen the video of the off-duty Chicago officer defending himself against three thugs at a gas station. - Most shootings happen at 15 feet and closer. - An attack can appear very quickly. - More attacks occur after dark than during the day. 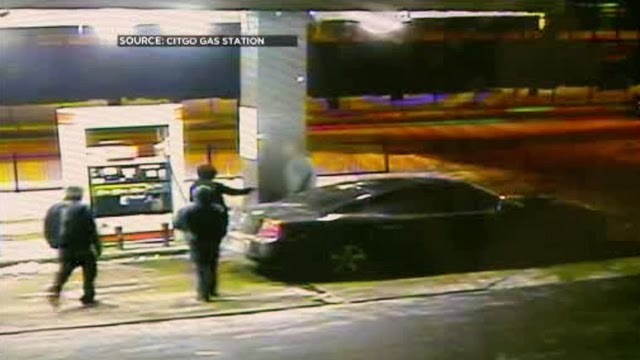 - Gas stations are a popular place for robberies. - Bad guys sometimes work in packs. - Victim's cold weather attire allowed him to quickly retrieve his firearm. - Victim's gun was chambered and ready. - Victim feigned compliance before defending himself. - Victim turning his body (blading) shrunk his size in the range of fire. - Compliance carries no guarantee of safety - Defend yourself. - Victim was able to draw and shoot with only one hand. - Assailant was 16 years of age. - Predators fear armed citizens. - Victim showed great restraint at not shooting fleeing bad guys. - Always assume encounter is being recorded. - Always be aware of your environment. - Know how to draw and shoot with only one hand. - Practice "center of mass" shooting at the range at 15 feet. - Always wear attire that allows you to quickly draw in any season. - Blade your body or step off-line when readying for a defense. - Always have a round chambered in your firearm.